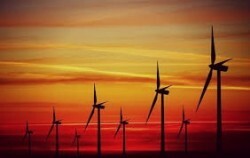 It is no less than a debate since years whether the Wind Energy sector is anti to environment. Opinions exist that there are unfavourable effects of the Wind energy plants on Birds. Ornithologists hold Wind Mast blades as killers of the birds and bats, and count it as direct negative effect over environment. It is another common blame on the industry about Noise generated alongwith Wind based power generation. The Wind fans have so much of noise that it makes living impossible in the vicinity to wind farms altogether. Similarly it is the land use getting affected – and the area of plant has no other use of the entire chunk of land – which is a grave concern in some countries. But one has to also consider some valid counter arguments on the above raised points. About the killing of birds as a general case, it is almost in every plant before site selection, that the birds habitat and also the places of migratory birds are avoided – as part the feasibility study. No doubt, it must be emphasized and meticulously followed in every project to mitigate the unfavourable impact. The aspect of Noise is but questionable – but as such be it nuclear, thermal or others where the hazards are unavoidable and living around any such plants, for that matter is not easy and preferred by the society. But on the other hand, the commercial benefits that people accrue from such renewable energy generation, would come heavy upon the general complaints – which is what is observed in most cases where people opposed the wind-power-plant being developed around any habitation. Finally, the landuse. The area within the plant is always available for grazing, development of fodder and protective territory is a positive factor in developing the wind energy plants where the land use is not possible with mixing the use for other purposes than just leaving it unused.